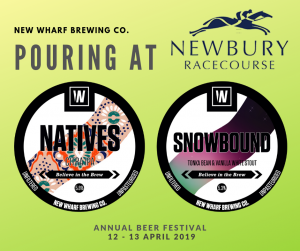 Snowbound and Natives will be pouring at Newbury Racecourse Beer Festival 12 – 13 April. Love our Beer? You'll love our updates! Sign up to our monthly newsletter and receive fresh news directly on your email. No spam and no strings attached! Old enough to be here?